Marinated vegetables. Soused food. 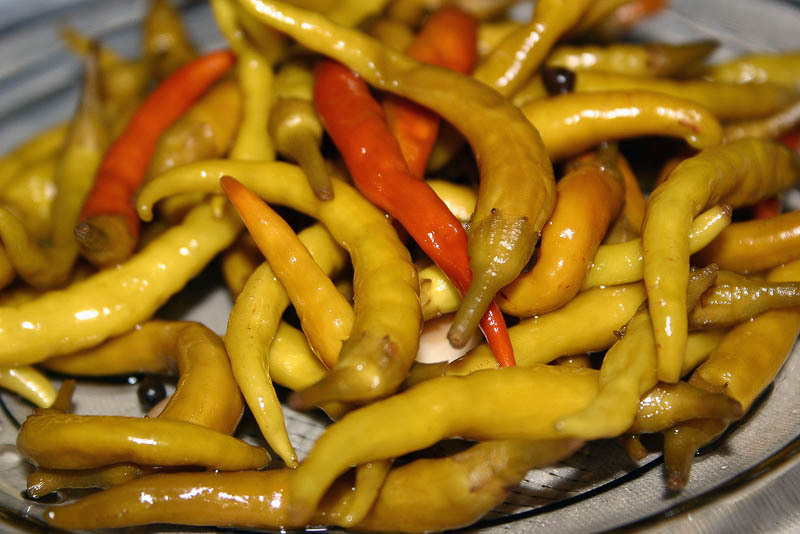 Tasty, juicy, pickled chillies salad.